"HEALTH OF THE RIVER FORUM"
The project has been running for over 14 years whereby Rotary clubs from the Sunraysia (District 9520) host a 3 day camp now at a new site, Calperum Station near Renmark, South Australia. The camp hosts 40 plus students each year. Michelle Kavanagh at the Murray Darling Freshwater Research Centre in Mildura. Students require parental/guardian consent to attend the forum and are making a committing to attend the forum when they are submitting their nomination forms to their local Rotary club for sponsorship funding. 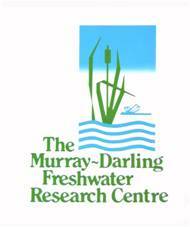 We would like to thank all sponsors and in particular our major sponsor, Murray Darling Basin Authority, for their financial support and assistance in hosting this event.